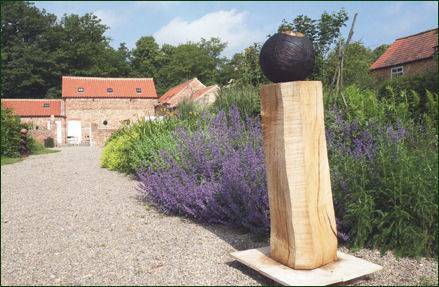 The delightful Dutch house wildlife garden is situated near Crayke, in North Yorkshire is an ecological and sustainable garden focussed on attracting wildlife. The oasis contains a collection of native trees, herbaceous borders, a wild flower meadow and a display of sculptures. The gardens themselves are developed and designed by owner of Dutch house Sjaak Kastelijn, who is former manager of York Museum Gardens. Set on a 1.6 acre plot with lovely views to the surrounding fields and the hilltop village of Crayke, the gardens also feature the river Foss which meanders through the site. Due to the gardens natural setting in a rural area and being so close to the river, it is a haven for wildlife and a feeding station for bees, insects and birds. The Dutch house provides cohesion between art and nature, and an educational opportunity for visitors to learn more about sustainable gardening and gardening to increase wildlife and biodiversity. The featured wildlife meadow area is seeded with native wildflower and creates a splash of colour throughout the summer. 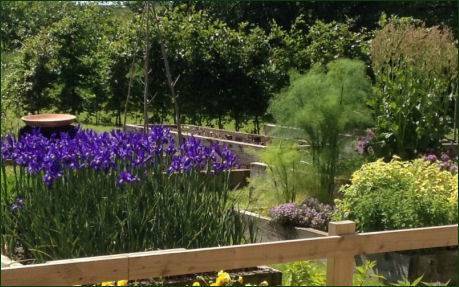 Vegetables and scented flowers are grown in raised beds which allow visitors to enjoy them to the full. The relaxing, child friendly art café serves healthy homemade meals, a fine selection of teas, coffees, homemade cakes, breakfasts, light lunches, homemade soups and Dutch specialities such as sweet and savoury Pancakes and Poffertjes. The arts & crafts shop inside the cafe sells unique art and gifts from local artists. Kunsthuis Gallery is a small but established venue for showcasing and selling contemporary art in the region. Kunsthuis is the go-to place for artistic inspiration and escapism. The gallery features a rich range of work by prolific British and Dutch professionals, bringing a varied and desirable selection of work to North Yorkshire offering something a little different in our contemporary tastes. With a vibrant eclectic programme of exhibitions representing a range of paintings, sculptures, prints, photography, ceramics and jewellery. Dutch house offers a level access site with on site parking and easy access to the art cafe, gardens and toilet facilities. The gallery can be accessed via a movable ramp.